Caotica is officially entered in CBC’s 2014 ComedyCoup challenge! Piers, Shane, and Joseph (along with the help of their vast support network) are pitching their concept JAIL HOUSE, about a group of minor felons trying to survive their reality-show half-way house and its sadistic host/producers. It’s a dark comedy, but we like to think we have a light touch. By using improvisers, and placing them in an affordable environment where they can actually be free to improvise, Jail House intends to create a naturalistic space for comedians. Beginning tomorrow October 2nd, at 6 PM PST, the ComedyCoup website will go live. Canadians will be able to like, share, and eventually VOTE for their favourite potential series. The future of the CBC’s comedy programming is in the hands of the public (and the talent), perhaps more directly than ever before. The brainchild of producer and artist J.Joly, ComedyCoup evolved out of 2013’s successful CineCoup. The finally round of judging for CineCoup took place at the Banff Media Festival in front of a live panel of industry experts, where the top five contestants were able to defend their work and their vision. The final result was the phenomenon of Wolf Cop, a high-energy campy horror movie which took social media by storm. The final five ComedyCoup participants can expect a similar grilling by the end, but that’s a long way away: first, we’ll have to survive the next ten crazy weeks. Each week ComedyCoup contestants are presented with fresh challenges intended to give comedians a chance to show off their abilities, as well as to separate the wheat from the chaff. 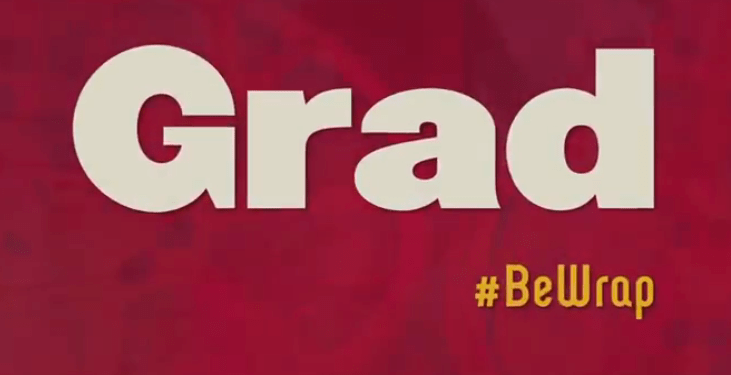 We’re hoping we don’t wind up ground into a big old pile of chaff. To that end, we’ve gone back through the CineCoup challenges in the hopes of extrapolating exactly what we’re going up against here. The Power Trio Pitch seems unlikely to change – it’s a great way to get a look at the people behind the project, and it’s VERY open-ended. Each comedy team basically has carte blanche to create a sketch introducing and starring themselves. If kept in the game, this is one of the top three challenges we’re most excited about. This week, we asked teams to show us a production or post production technique (related to their films) that will help them achieve high production value on an indie budget. Lots of potential here for comedy. Also a good chance for low-budget (or no-budget) groups like ourselves to showcase some of the ways we try to up our production budgets without cold hard cash. However, CineCoup was creating a feature-length film on a 1M budget, as opposed to a 30 minute/22 minute comedy special for television. Showcasing resourcefulness never goes out of style, but a looser projected budget-to-cost ratio could mean this challenge is replaceable. Replaced with what? We haven’t the foggiest. The film poster is a powerful marketing tool. It’s often the first impression of a filmmaker’s vision that makes you want to watch more. This week filmmakers designed two posters, each with a distinct art direction. Take the poster polls and tell them which one sticks for you. YES. I cannot speak for the rest of my team, but I’ve long been obsessed with poster art. Wandering movie stores as a movie-loving kid means hours upon hours spent absorbing these perfect encapsulations of story. The thought of creating some for a show of my own makes me feel like a magical, professional, validated, grown-up. That being said, the poster is more associated with the feature films of CineCoup than with the comedy specials of ComedyCoup. But won’t they need art for the DVD boxes? For the promotional materials? Having to create powerful images in order to sell your idea visually is a solid, almost necessary, challenge. And it’s a challenge easily modified for the requirements of the medium. Poster work may present either an interesting challenge/break from earlier weeks of intense film editing, or a desperate week as teams race to find quick working artists to help them produce. An assignment as old as film itself, filmmakers show us a narrative snapshot from their film that shows off their vision and ability to tell a story using a camera and cuts (no dialogue, only sound design and score). They set the stage and suture the audience with a short A to B sequence. Which team video leaves you speechless? Tricky. Definitely a challenge, if this one sticks, and seems easier with a more cinematic genre. We all love physical comedy, but slapstick and the like has had its heyday by now (surely to GOD). And physical comedy often depends on a familiarity with the character, or it devolves into bumbling archetypes. Not that there’s anything wrong with that, if it’s your thing. Looking at other ComedyCoup contestants we’re seeing lots of dialogue and character-driven pieces. And while that’s FANTASTIC, some ideas could have difficulty translating to a “silent” piece. That could be the challenge of course. Make us laugh without speaking the punchline. Show, don’t tell. All that visual magic. We wouldn’t be heartbroken to see this one get replaced, however. At this point, voting should have concluded and more than half of the applicants have been either been disqualified or have dropped out of their own accord (exhaustion, fear, hunger, other plagues, etc). We can assume the Top 50 are CHOSEN. An experience or moment, person, place or pure imagination… Filmmakers share the origin of their feature film concept. What connects them to the story behind their idea, themes and characters? In a world that claims every story has been told, find out why their original approach demands to be seen. A chance to discuss the absurdity behind your ideas. The world is a crazy place, and if you’re inspired by a particular bit of real-life madness then this is your chance to go out and capture the essence of it! The mission statement also suggests that either your story is original (probably not), or you are. You’ve already defended your personal vision as a creative in the power pitch trio, but this could be the perfect second chance if you botched it on the first go. This similarity to the power pitch trio could make this challenge disposable. 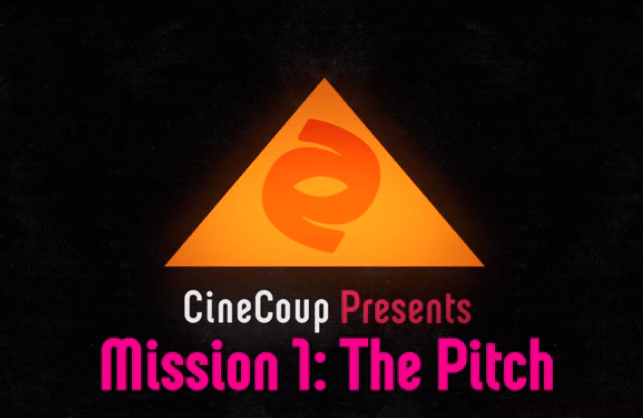 The stakes are high and reach is everything as we funnel towards Top 15 advancement… Filmmakers up the ante on awareness for their CineCoup projects by a creating media pitch video and staging a virtual or live event during the Top 15 voting period. What’s their irresistible angle? How does it intrigue media to cover their story and audiences to listen? Why is their film a contender for the CineCoup Top 15? Comedians? Doing live events? We’ve never heard of such a thing. Appealing to the press will be an ongoing mission for these contestants, but this week also represents a LARGE amount of work. Live event planning would be best planned weeks earlier, to allow for billing and marketing of the event itself. The media pitch video could draw on all material produced up until this point, but would be likely to use the live event as a set piece, thus depending on its success. A late game challenge. Mission 7 has two parts designed to package and promote your project for Top 15 and beyond… We challenged filmmakers to recut their trailers for maximum 90-second impact. How could they make their original concept trailers stronger? They were asked to look at elements such as pacing, tone, sound, music, voice over, titling and fan feedback to break it down, bring it back and make it better! Mixed feelings about this one. We’d love to have had more time to cut together our trailer. So much we would’ve done! Re-shoots, rewrites, had the time to actually get proper gear and a crew together… ahhh, well. What creative team hasn’t said that about their finished project? It’s a shoddy carpenter that blames his tools and his time. However it was also exhausting, and we never want to look at it again. The interesting aspect here is the inclusion of “fan feedback”. Teams may be judged for their ability to encourage, respond to, and incorporate fan feedback into their completed work. Social activity is the cornerstone of this contest, why wouldn’t it be for this mission? Filmmakers showcase how their story universe could come to life in another film or platform. Do their characters have spin off potential? Is there a sequel or prequel that needs to be told? Or maybe episodic TV, graphic novels and game concepts? Would you follow their stories beyond the films? Another one of our favourites, because it revolves entirely around world building. The minute you finish writing your pilot, you’ve already fallen in love with some of your story elements. Sure, you can love them all, but every parent has a favourite kid. Anyone who tells you otherwise is a LIAR. Building all that background into your characters and setting means you know exactly where the story would head next, or what shard universes you would have to create a whole new series to explore. This will be our breath of fresh air, a chance to take a break from fretting over one show and think about creating an entirely new entity altogether. In addition, the original mission allowed video OR posters for submission, so teams can play to their strengths. Whoever makes it this far technically gets optioned by the CBC. So bravo to you, you heroes of the internet. We’re terrified of giving peer-to-peer feedback, but the idea of doing tribute or parody videos to other people’s work sounds fantastic. This also means you’re doing NINE different pieces as tribute, so good luck with that. If we manage to hold on to this point, we forecast this as the second or potentially third emotional breaking point. A marketable star can help a film gain early traction and bolster its audience appeal. This week filmmakers identify a character in their story who would be suitable to shoot out in under a week (protagonist, strong secondary, killer cameo). Without naming an actual star, filmmakers “sell” the role that will pique the interest of actors, casting directors and talent managers. Why it is pivotal to the overall success of the project? How does it appeal to your fan base? A lot of teams are pre-existing comedy teams trying to get a project off the ground for themselves. The idea of casting other people in roles that they have created themselves, for themselves, and inhabited during the weeks of project filming may disgust and horrify them. Too bad. we give this challenge a million freaking stars. If you can’t sell your part to any actor but you, it’s a garbage part. Especially as more and more star power moves toward television, as the medium continues to gain artistic ground on film. 12 weeks, 10 missions, piles of Tweets, posts and press, a legion of fans and countless hours. It’s time to remember the ride! This week filmmakers create an epic EPK and a short, written blog post that captures their experience in the pilot cycle of the CineCoup Film Accelerator. A Facebook year-in-review flashback video, set to Green Day’s “Time Of Your Life”, as per tradition. And wherever else good times are had.